Aimee is a holistic therapist, meditation artist, and teacher. She is the co founder and executive director of Indigo International. Aimee is a certified clinical hypnotherapist, a Reiki Master and has been trained professionally in Integrated Energy Therapy, Angel Therapy®, crystal healing and mediumship. Aimee taught history, geography and health in middle and high schools in Massachusetts, Florida and California. She is a National Board Certified Teacher and was recognized as a Who’s Who of America’s Teachers. She has completed extensive graduate level educational research, she holds a Master’s Degree in Education from NOVA Southeastern University and has completed Master’s coursework in Mental Health Counseling at NOVA Southeastern University, Depth Psychology at Pacifica Graduate Institute and Public Health at Walden University. 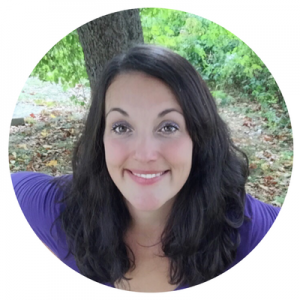 Aimee has managed a successful holistic private practice for the past decade. She has helped hundreds of people heal from the inside out using tools such as hypnotherapy, guided meditation, Angel Therapy® and energy healing. Aimee’s bestselling Chakra Healing Guided Meditation and Creative Visualization Program has helped thousands of people all over the world bring harmony back into their bodies, minds and spirits. Aimee en-joys experiencing and sharing divine wisdom from lightbeings, angels, ascended teachers, animal spirits, crystals, herbs and whole foods. She is currently working to demonstrate the effectiveness of energy healing practices through the development of an evidence based scientific research program. Her goal in all her work is to educate and empower individuals to realize transcendent health. Connect with Aimee on Facebook, Twitter, LinkedIn or Instagram. You can also explore all of Aimee’s blog posts on Indigo International.